My first review being that of an Eric Carle work is no accident. I have been reading his books to my 2.5 year old since she was 10 months. The one that has impressed me the most is "The Very Hungry Caterpillar' (although my daughter might debate and settle for "Head to Toe"!). The Very Hungry Caterpillar is a picture board book. It can be read to a child as young as an year old. The author is also the illustrator. His art, although not the very common type, is interesting and colorful. The book is a simple story about the three weeks in the life of a mortal caterpillar, the three weeks between his conception from an egg to his culmination into a beautiful butterfly. The book begins with the caterpillar's entry into this world from a tiny egg on a Sunday morning. An apple does not seem to satisfy his hunger. He continues to eat many other fruits in increasing numbers on the following days of the week. Still hungry, the caterpillar chooses to climax his routine with a gluttonous meal, a horde of eatables. As expected, the immodest eater ends up with a stomach ache! All the food seems to have an effect, the caterpillar actually grows in size. He houses himself in a cocoon for a couple of weeks and reenters the world as an attractive butterfly. The above story is narrated in close to just a dozen lines. The pages are loaded with brightly colored pictures of the caterpillar and his food pals. The fruits, that he eats on the weekdays, are in counting sequence on layered pages. This adds interest while the little one learns to count 1-5. The names of a multitude of yummy foods can be easily "ingested" (pun intended!) by the small brain. The days of the week are also subtly interwoven into the story. The grand finale is when your child actually picks up the life cycle of a butterfly without a science book or a garden tour, but a simple story about a hungry creature and lots of fun food! And here is the bonus - whenever my overeaten toddler asks for more or simply junk, I cannot resist the slogan that actually makes sense to her- "you don't want to end up with a tummy ache just like our ever hungry friend"! The author has successfully packed in a lot things without giving the feeling of going overboard to the reader. He teaches many basic concepts while keeping the simplicity of the story in tact. Read it to your child to see the jolt when the egg pops, the smile that all the yum-yums bring, the worried look when the worm falls sick and the twinkle in the eyes on seeing the glorious butterfly! Lovely!! Funny but I have never read this book to Akhil, even tho I've seen it penty of times in the library. Will make it part of our expedition this week. Loved the animated picture of the crawling caterpillar. I noticed that you may have had difficulties with the paragraph spacing-formatting. Somehow, beta blogger won't let me space my paras also when I posted. I happened to chance upo Google Docs, and used that to compose and then publish directly to the blog. You could give that a try! May be you guys could try that in your html part of the posting. But, the google docs that you've suggested does sound like an easier option..Will give it a try and see. Will get back to you guys on other stuff. 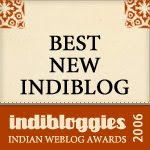 I will email both of you from Saffrontree's account regarding blog related news/updaes/forwards. Hope that's ok. So fortunate to team up with you guys! I inserted the p tags to your post, and got the para spacing taken care. Let me know if it's ok. Very true. It would'nt let me squeeze in a space line. Thanks a lot for the fixes. I will try them out the next time I write. You guys are doing such amazing job. Please slow down a little :-) My to-buy list of books is growing. We have this book too and I started reading this to my son when he was about 1 year and 3 months old. I agree that the book is packed with a lot of information for little ones,in a very interesting way ! I have been reading this book to my now 2 year 3 month old Aniketh since he was a few months old. It is his favourite. This book along with Where is Spot have been instrumental in sprking his interest in books. He 'reads' at least 3-5 books everyday. He can now recite the whole story of the caterpillar! In addition to what you have mentioned, I liked the fact that the book introduces the terms of the life cycle as they are... it has not been dumbed down. I would rate this as the best book ever for toddlers. I started reading this book to my little one when he was 6 months old, and to my amazement, he started identifying the book at 10-11 months. He is just 15 months now, but I often find him sitting by himself turning the pages and looking at the book. It is amazing how the author has packed in so much in such a simple story! I recommend it to all my mommy friends.